Backup and recovery of your data become one of the most important features you need especially with the increasing risk of data loss from many reasons including the recent ransomware. The new generation of Acronis True Image 2017 is released with many new features that will be of great help to you. Your data are highly secured with this release, and you are protected against all ransomware. No more panic about your data loss. 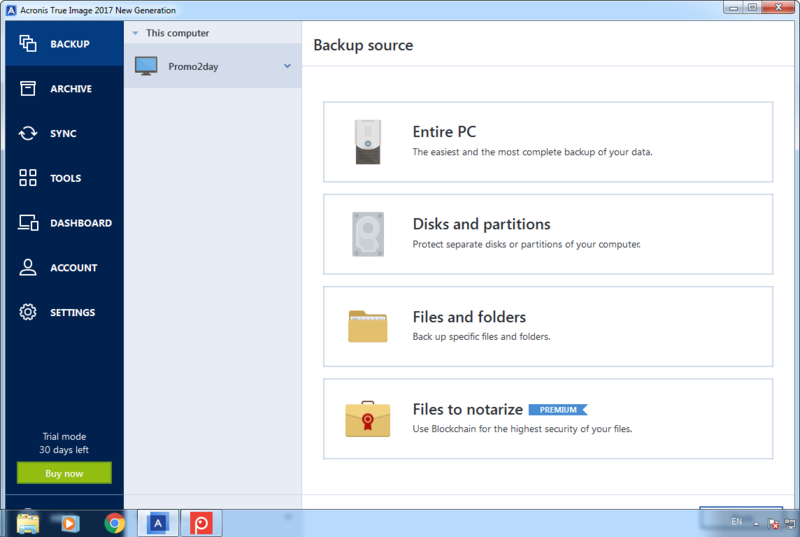 The program helps you to have a full backup of all your data in an easy and professional way. You can backup documents, photos, email, selected partitions, and even the entire disk drive. In addition to data backup you can also do backup of operating system, applications, settings. If there is any problem with your computer (for example virus, format, damage…) you will be able to recover all your data and settings. The cloud space technology lets you do secure encrypted backup of your data to be easily restored from any device.